Collect your favorite sea shells or seashells baskets from our special shells collections. 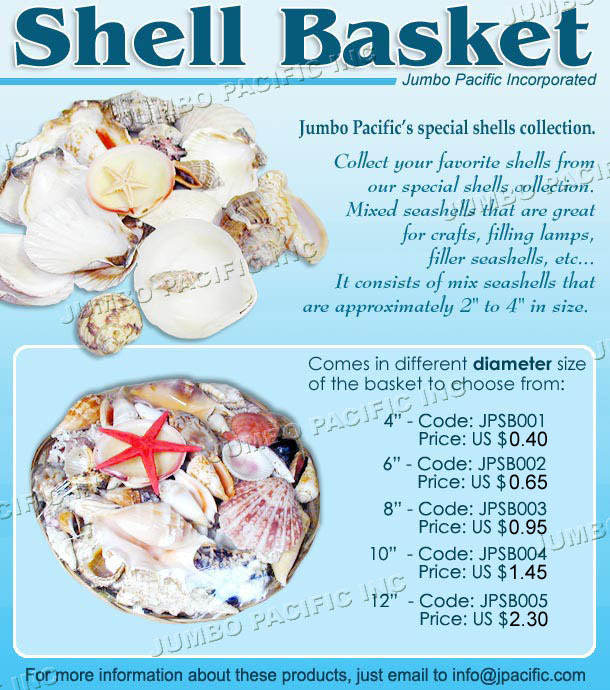 Mixed seashells baskets that are great for craft, filling lamps, filler sea shells and many more. 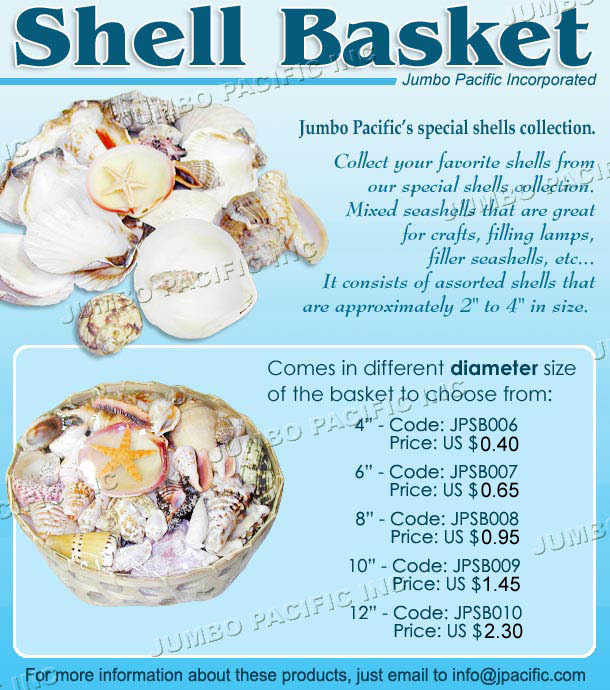 One basket contains of different kind of shells. Decorate this shell basket of seashells in your sunny room. For sure, it could make a great table decoration to your home. Practice of finding and usually identifying the shells of mollusks, a popular avocation, or hobby, in many parts of the world. These shells, because of their bright colours, rich variety of shapes and designs, and abundance along seashores, have long been used for ornaments, tools, and coins.